Approximately 50% of young patients with breast cancer are concerned about their risk of infertility after chemotherapy, and their desire to have children after treatment. (Prospective Study of Fertility Concerns) To best be able to have meaningful discussions with these patients concerned about their future fertility or premature ovarian insufficiency (POI) following chemotherapy, it is important to understand the current thinking in order to share the scientific evidence with them. The current strategy to retain fertility is embryo and oocyte cryopreservation. Attempts to actually preserve ovarian function during chemotherapy has been to add gonadotropin-releasing hormone agonists (GnRHa) to the regimen. However because of early conflicting results, adding GnRHa has been considered experimental. Gonadotropin-releasing hormone is produced in the hypothalamus and when stimulated, it moves via the bloodstream to the pituitary gland. 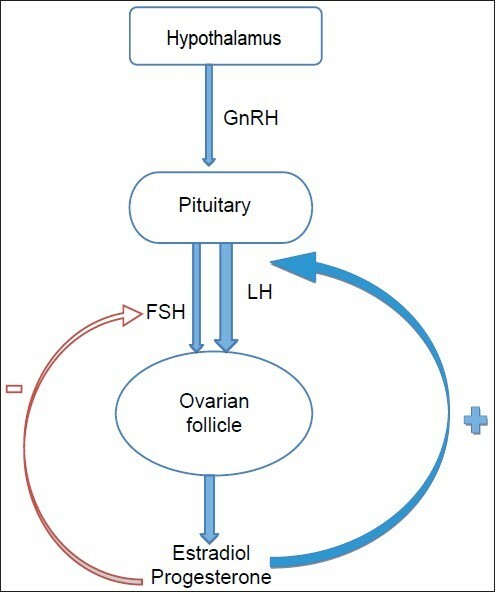 There, binding to receptors, it signals the pituitary to create 2 more hormones: LH or luteinizing hormone (LH) and follicle-stimulating hormone (FSH). There are several GnRH agonists, the most common being leuprolide and goserelin. In 2015, Labertini et al published a meta-analysis which evaluated ovarian insufficiency at 1 year following chemotherapy (Ovarian suppression) and also looked for chances of pregnancies. In this initial meta-analysis, no conclusions could be drawn following this single year follow-up. Since then, it has been observed that menstrual function can return beyond 1 year, and so now experts believe that menopausal status can be determined only after 2 years have passed following completion of chemotherapy. Consequently, Lambertini et al, in 2018 published a second meta-analysis evaluating POI after 1 and 2 years following completion of chemotherapy. (Gonadotropin-Releasing Hormone Agonists). This second analysis examined 873 patients. Four hundred thirty-six were randomly assigned to GnRHa and 437 to control. The median age was 38. The primary endpoint was POI as defined by amenorrhea at 1 and 2 years following the conclusion of chemotherapy. In the GnRHa group, 14.1% developed premature ovarian insufficiency compared to 30.9% in the control group. Though not a primary endpoint, treated patients were more likely to become pregnant than untreated (RR 1.83). The main adverse effects of treatment included vasomotor symptoms and sexual problems. All were reversible following treatment. The findings in this later 2018 meta-analysis provide evidence for the efficacy and safety of temporary ovarian suppression with GnRHa during chemotherapy as an available option to reduce the likelihood of chemotherapy-induced POI and potentially improve future fertility in premenopausal patients with early breast cancer. This strategy, along with oocyte preservation, should be discussed as an available option to potentially improve future fertility in premenopausal patients with early breast cancer undergoing chemotherapy. “Biosimilars” OK for Your Patients: Same Effectiveness. Lower Cost.